After the collapse of the Soviet union and the new world order emerge with US as the most dominant super power, American congressmen and politicians sought to end the need of distinct agencies that would operate outside of the existing federal executive departments. such as the U.S. Arms Control and Disarmament Agency (ACDA) and the United States Information Agency (USIA) both were created in 1961 and 1953 as part of the Washington’s tool for ideological battle and competition of that time. As the conflict came to an end, with clear victory for western allied nations lead by US, many Senators like Jesse Helms (R-NC); Chairman of the Senate Foreign Relations Committee, sew these organizations as superfluous that US needs no more since the reason for their existence is over, they are just “Cold War agencies.”,so he campaigned to to fold them into the State Department. And Under Foreign Affairs Reform and Restructuring Act of 1998, both agencies became departments into the State Department by 1999. This Fact sheet retrieved from the USIA website archive hosted by“University of Illinois at Chicago”, as part of their Electronic Research Collection of historic State Department materials. an independent foreign affairs agency within the executive branch of the U.S. government. USIA explains and supports American foreign policy and promotes U.S. national interests through a wide range of overseas information programs. The agency promotes mutual understanding between the United States and other nations by conducting educational and cultural activities. USIA maintains 190 posts in 142 countries. Overseas, USIA is known as USIS, the U.S. Information Service. Pursuant to the Foreign Affairs Reform and Restructuring Act of 1998, USIA will be integrated into the Department of State on October 1, 1999. Penn Kemble is Acting Director. The Commerce/State/Justice Congressional subcommittee appropriation covering USIA’s budget provides $1.109 billion for USIA in fiscal year (FY) 1999. After implementing reductions in 1997, USIA has 6,352 employees, of whom 904 are Foreign Service personnel and 2,521 are locally hired Foreign Service nationals overseas. There are 2,927 Civil Service employees based in the United States, of whom 1,822 work in international broadcasting and 1,105 are engaged in USIA’s educational and informational programs. The overseas operations of USIA are mainly carried out by its 520 Foreign Service officers who are assigned to American missions abroad. With guidance, support and material from Washington headquarters, they manage educational, cultural, and information programs in support of American foreign policy objectives and greater mutual understanding between the U.S. and foreign societies. USIA operates the U.S. government’s programs of educational and cultural exchange. 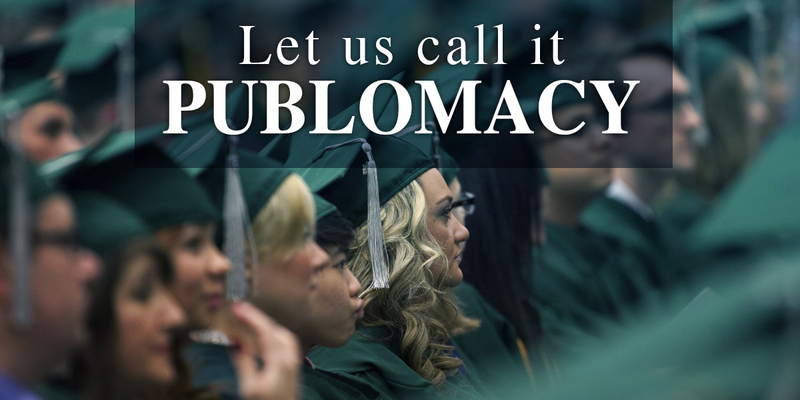 The best known of these is the Fulbright exchange program, which operates in over 125 countries. Additionally, each year over 2,400 foreign leaders and professionals come to the United States at USIA’s invitation as International Visitors, and some 1,800-2,000 voluntary visitors come under private auspices for up to 30 days of professional appointments arranged by USIA. Many partners cooperate in USIA exchange activities: the academic community, U.S. private organizations, foreign governments and American volunteers. The International Broadcasting Act of 1994 established a Broadcasting Board of Governors to oversee USIA’s Voice of America (VOA), Radio and TV Mart, and WORLDNET Television, as well as two surrogate international broadcast services — Radio Free Europe/Radio Liberty and the new Radio Free Asia. Unlike USIA’s other federally funded broadcast services, Radio Free Europe/Radio Liberty, a non-profit private corporation, and Radio Free Asia receive funding through grants from the USIA’s Broadcasting Board of Governors. broadcasts 660 hours of programming weekly in 53 languages, including English, to an international audience. Radio Mart, established in 1985, broadcasts 24 hours a day in Spanish to Cuba. TV Mart telecasts 4-1/2 hours daily. Programming consists of news, information, and entertainment from a variety of sources. WORLDNET, USIA’s satellite television network, transmits news, educational and cultural programming 24 hours a day to millions of foreign viewers through American embassies, USIS posts, and foreign television and cable networks. Radio Free Europe/Radio Liberty, including its Czech and Polish affiliates, broadcasts over 500 hours per week in 23 languages to Central Europe, Russia, Iran, Iraq, and the republics of the New Independent States. Electronic and Printed Materials: The Washington File information service provides both time-sensitive and in-depth information in five languages. The File includes full transcripts of speeches, Congressional testimony, articles by Administration officials, and materials providing analysis of key issues. Other materials include on-line publications dealing with democratic developments, trade, security, and other issues. The Agency has worldwide web sites for domestic and overseas audiences which contain information about the United States, USIA programs, and key international events and issues. Speakers and Specialists Program: The Speakers and Specialists Program enables hundreds of Americans to share their expertise with audiences abroad. For speakers who are requested on short notice, required for a single event, or are unable to travel, digital video conference programs allow foreign audiences to communicate electronically with their U.S. counterparts. Information Resource Centers: Over 100 information resource centers are electronically equipped for rapid delivery of information relevant to U.S. interests abroad to foreign leaders in government, media and academia. In some developing countries, USIA supports public-access libraries that encourage in-depth study and understanding of American society and institutions. Foreign Press Centers: USIA operates foreign press centers in Washington, New York, and Los Angeles to assist resident and visiting foreign journalists. The centers work cooperatively with privately sponsored international press centers in Chicago, Houston, Atlanta, Miami, and Seattle. under the Freedom Support Act Undergraduate Program, USIA enables undergraduates to study at U.S. universities for one year. USIA participates in the Support for Eastern European Democracies (SEED) program, an initiative begun in FY 1990 to help Central and Eastern European countries develop democratic and free market institutions. Since FY 1990, USIA has funded training programs in a range of fields, including management, English teaching, educational reform, the rule of law, and library training. This is the only office in the U.S. government responsible for advising the President, Secretary of State, and other foreign affairs policymakers on foreign public opinion about the U.S. and its policies. The research staff commissions public opinion surveys in nearly every country. It also provides twice-daily reports on foreign media commentary around the world on various issues that is provided to officials throughout the government. 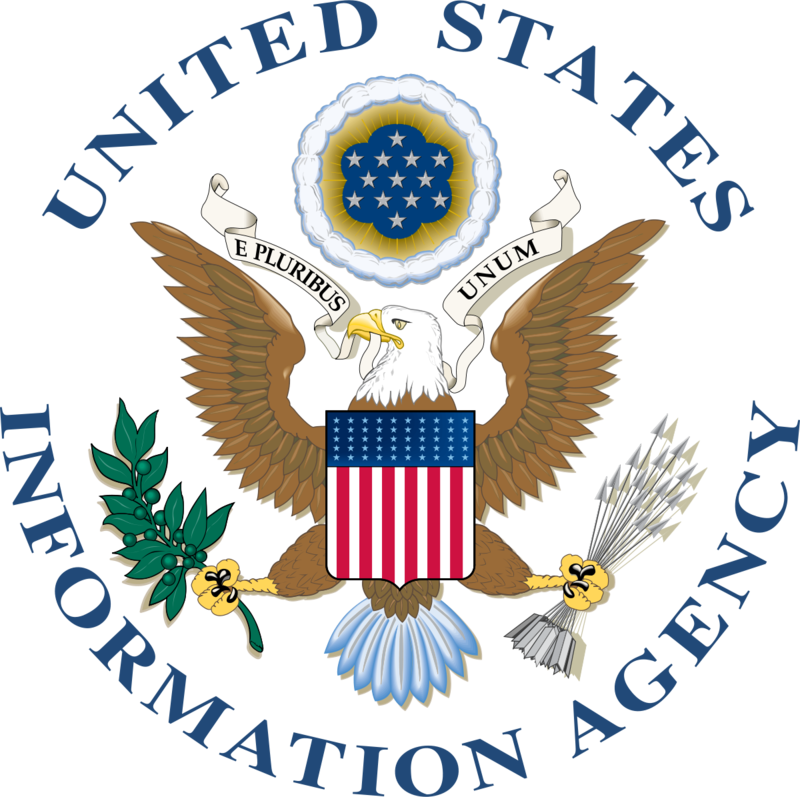 USIA was established by President Eisenhower in August 1953 and operated under that name until April 1978, when its functions were consolidated with those of the Bureau of Educational and Cultural Affairs of the Department of State and the agency was called the International Communication Agency (USICA). The agency’s name was restored as USIA in August 1982. The agency’s basic legislative mandates are the Smith-Mundt Act of 1948 and the Fulbright-Hays Act of 1961. The International Broadcasting Act of 1994 reorganized and consolidated all non-military U.S. government international broadcasting into USIA, supervised by the Broadcasting Board of Governors. 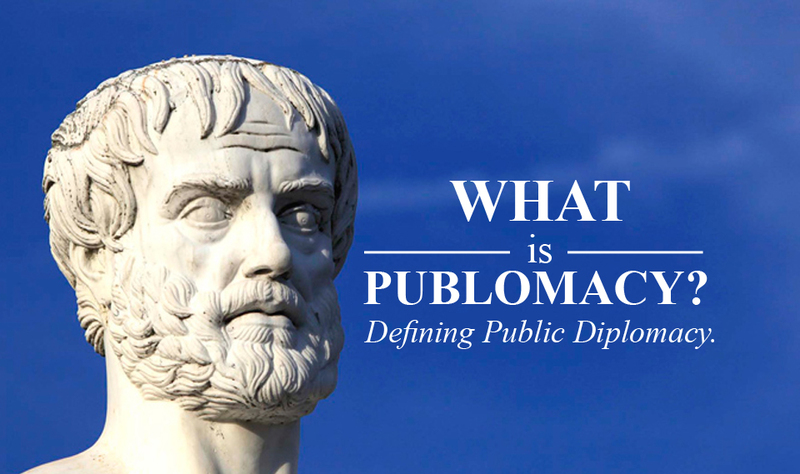 This authority will continue to guide public diplomacy programming following USIA’s integration with the Department of State. Click her for more historic data regarding USIA. 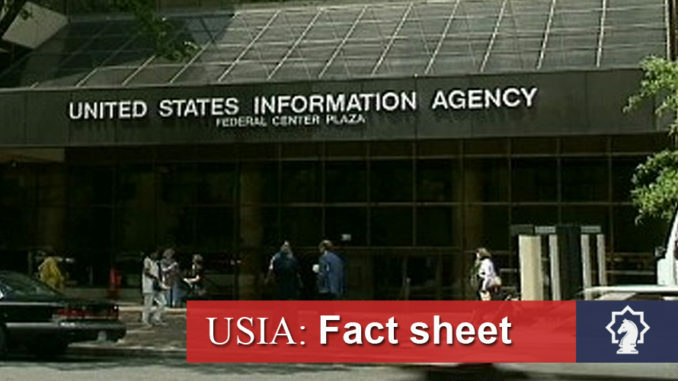 Share the post "United States Information Agency USIA, Fact sheet"
Let us call it Publomacy !